Luvable Friends Safari Sherpa Blanket is luxurious and fun blanket measuring 30 X 36 inches. 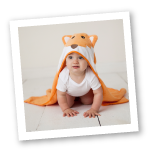 This blanket is great in any nursery and is also available in matching bedding sets. 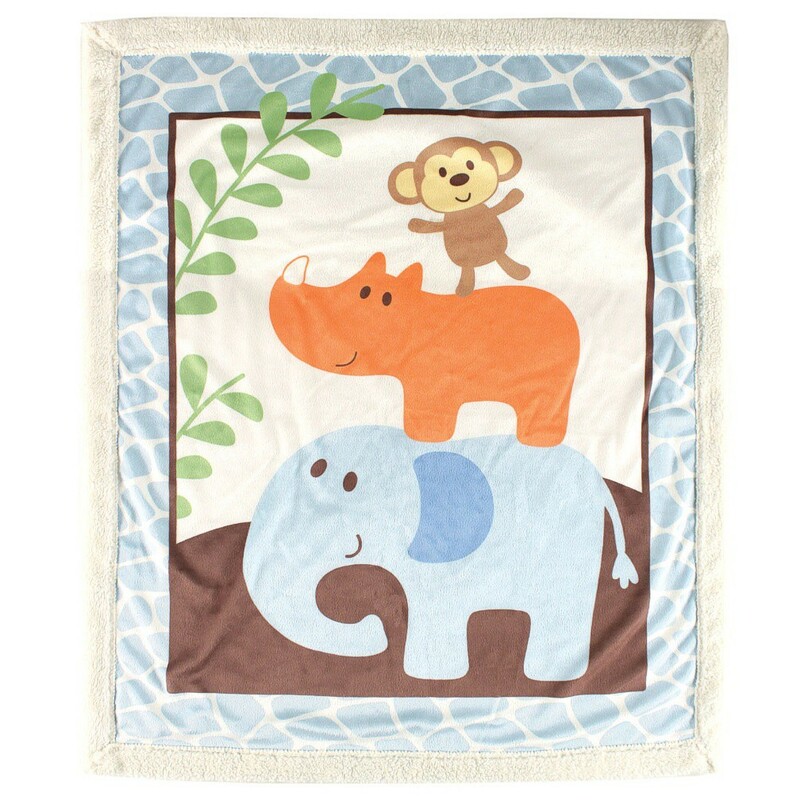 These blankets offer baby a warm and cozy place to rest their head. OMG I BOUGHT THIS NOT SURE IF IT WAS GOING TO BE TO SMALL OF A BLANKET OR NOT WARM ENOUGH CAUSE OF THE PRICE. I SEE THESE SAME BLANKETS BUT THE COST FOR ONE IS SO MUCH. WHEN I SEEN THIS PRICE FOR EIGHT DOLLARS....I TOOK A CHANCE. 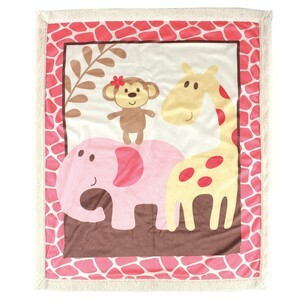 MY BABY LOVE THIS BLANKET. THIS BLANKET IS AS GOOD OR BETTER THEN THE OTHER PLUSH BLANKETS. THIS SITE SEEMS TO GOOD TO BE TRUE BUT BELIEVE ME WHEN I TELL YOU IT'S SO WORTH SHOPPING HERE THEN THE STORES. YOU SAVE SO MUCH MONEY.